My family decided to do something a little different this year for Christmas... and road-tripped to New Orleans, Louisiana! We arrived on Christmas Eve, which happens to be Dad's birthday. 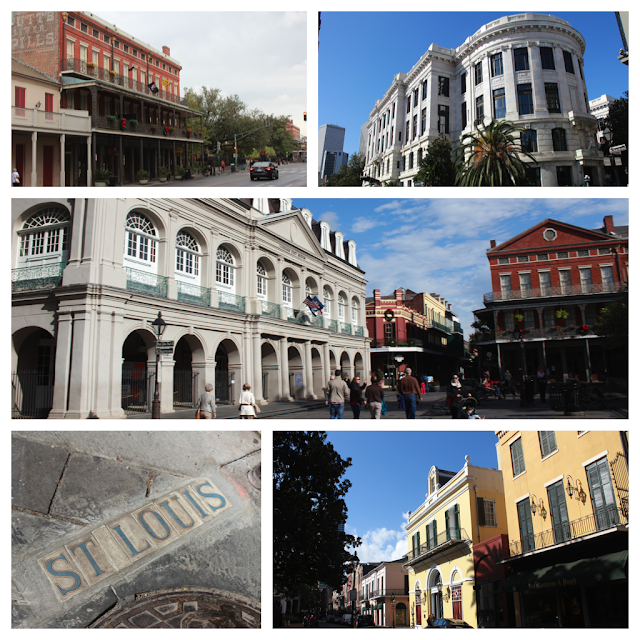 We settled into our timeshare space at La Belle Maison, then walked over to eat a mini feast at Borgne, a John Besh restaurant, in the Central Business District. Dinner at Borgne was fantastic! They had a prix-fixe menu that night, just for Christmas. (Many restaurants in town had special menus for Reveillon.) We had appetizers of duck poppers (with jalapeño and bacon!) and crispy boudin balls. I had an alligator soup that was kind of spicy for my taste; not my thing, but fun to try. 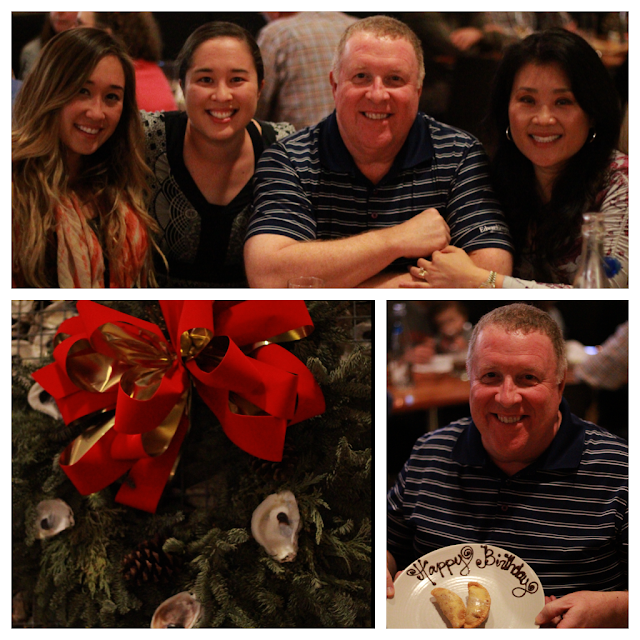 Dad and I had filet mignon, while Mom and Amy tackled seafood and veggies. And the piece de resistance was dessert! We had fried strawberry pies, lemon olive oil cake, and chocolate hazelnut pudding with dulce de leche. YUM. 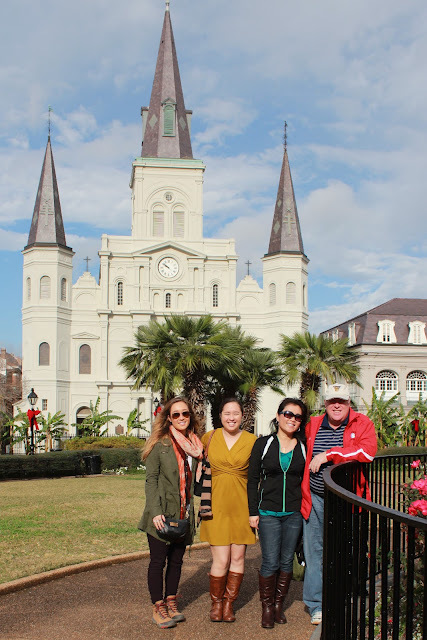 The next day, for Christmas, we wandered into the French Quarter to meet up with our Free Tours by Foot group. It was very quiet due to the holiday, but I enjoyed learning the history of the area while taking in the unique architecture of the quarter. We walked around for a while, but due to some tornado-strength storms rolling through, we hid out the late afternoon in our room! We emerged to grab a delicious Italian meal at The Italian Barrel. I had a penne alla vodka with jumbo lump crab meat. I think Mom took most of my crab, but I didn't mind sharing the big portions! Dad and I ended the night with a little gambling at Harrah's. Not a bad Christmas Day in the Big Easy!